Password Management…. what is in my toolbox? 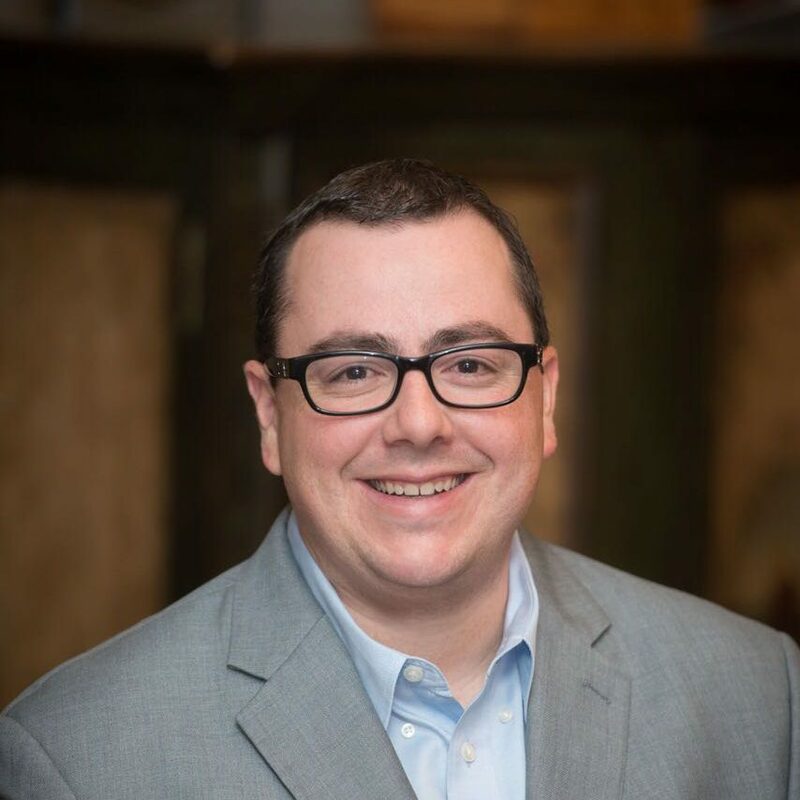 One of the questions I often get is about password management. How do I remember all my passwords, what is the best password manager to use, etc. I have tried a bunch, and I’ve come to the conclusion that it depends. Do you need it to manage accounts on your Windows computer? Do you want it to password protect notes and photos? 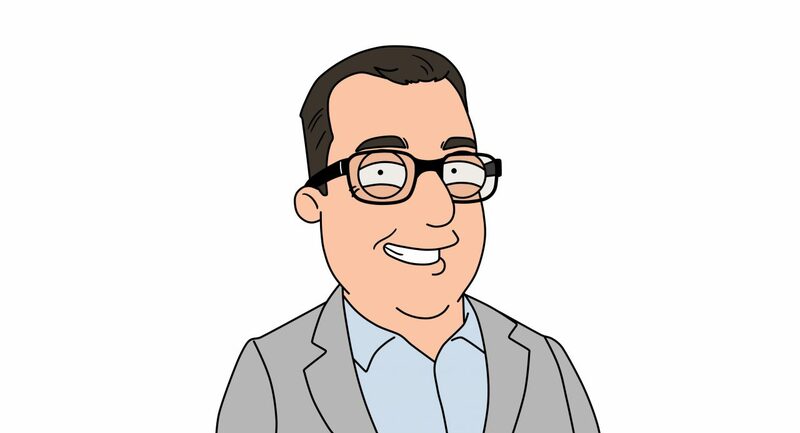 I tried 1Password, one of the more popular ones, but it just missed out on a few features I really liked. I found the interface somewhat clunky and features like photo protection was sub par. I also tried LastPass and Dashlane, and based on ease of use, functionality and pricepoint, Onesafe won out. 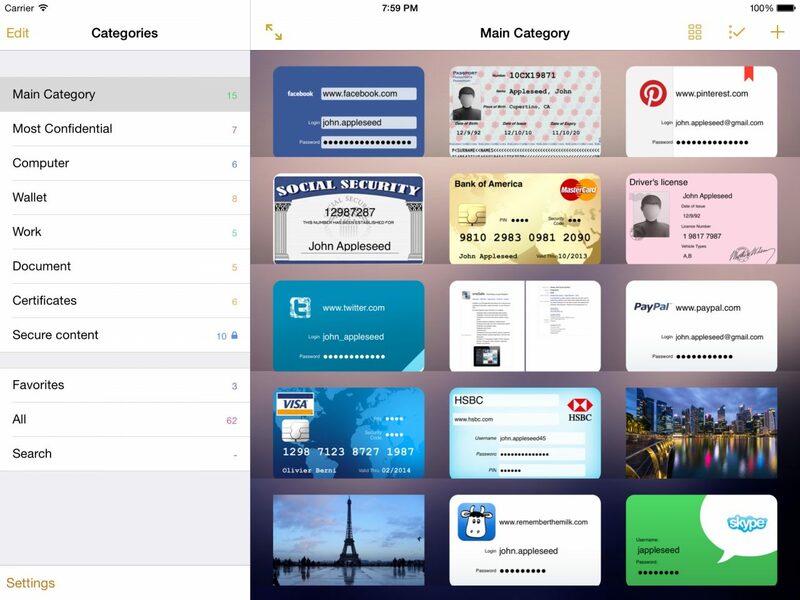 The main reasons I chose it over 1Password, the user interface is nicer and I can easily password protect photographs. To me, that means along side important usernames/passwords, I can also save other important photographic information. In my case, I have photos of all my identification, passport details, credit card info, etc. I have it all stored in the password protected application so that if I lose my wallet and have my phone, I have identification with me. The app also has cloud sync, so my data is available on all my iOS devices. There is also the ability to securely share information, so you can pass off details to friends/family. 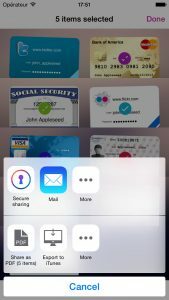 In a previous blog I posted about Stocard, the app I use for reward cards. This is the app I consider a great companion, for all the wallet things that need more protection than a standard reward card. You just put a password on the application (or use your touch ID) and then you start adding information to the app. You can enter website login information in the app and then launch the website with those credentials directly from there. It is a great way to keep all your password information in one place. The help is very useful and will get you what you need to get started. You can store everything from website credentials, wifi passwords, to credit card and passport details. The Onesafe company makes versions for iOS, Mac, Android and Windows phone. I’m hoping some day they add Windows 10 so I can also manage/use the password information there too. If it wasn’t for the lack of the Windows 10 application, I would recommend this over anything else. It is just such a big feature to be missing for the Windows users. It will still store your accounts, but you can’t use the tool to fire off the websites with the credentials you have saved, you must look them up and type them in. If that isn’t a huge problem for you, I still highly recommend this, and it is one of my must haves in my iOS toolkit. The app available from the iTunes store for about $7 and is well worth a look. Several months ago, I decided I wanted to pair down my wallet. Did I really need to be carrying the big huge leather wad when I really was paying for most items with my one debit or credit card? I already carry my phone everywhere, perhaps I could pare down what I was carrying. I made it my goal to limit my wallet size to attempt to become a bit more of a minimalist. I can tell you I haven’t found that utopia yet, there are a couple pitfalls, but I’m happy with the progress. First up was to dump the old leather wallet. I replaced my wallet with an iPhone wallet that I’m very happy with. 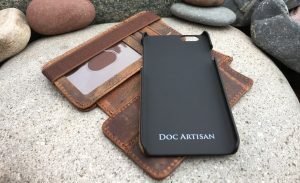 I bought a Sport Wallet (v4, it has recently been revised to a v5) from Doc Artisan. It is a magnetic case/wallet that allows easily removing your phone from your wallet. It fits ID and a few cards, and a few bills (awkwardly folded, but does the trick). I also bought a magnetic mount for the car so I can quickly take the phone from wallet to car mount with ease. Then I found an app called Stocard to start leaving my reward cards at home. This nifty little app works great. It allows you to enter your reward cards (enter the reward card number, also allows you to take a picture of the front and back) and then store it in the application for easy access. It also has a nifty little widget for the notification screen so you can quickly access your cards by swiping down and then touching the icon for your appropriate reward card. The app is fast and does what I need. 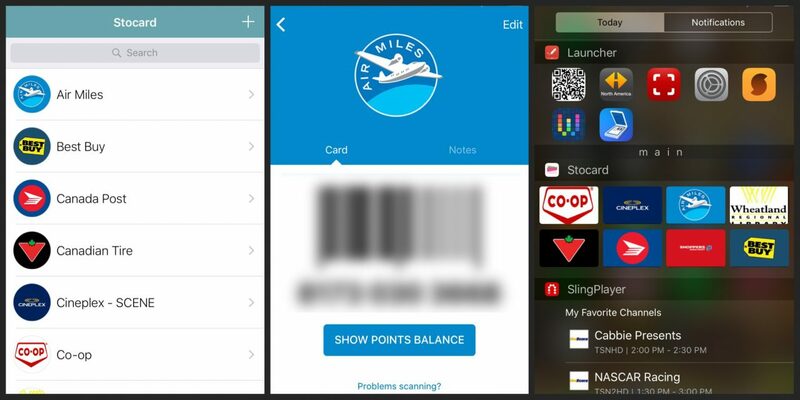 Now when a store asks for my air miles card, or I need my scene it card at the movies, I pull out my phone, swipe down, and touch the icon to bring up a bar code for the cashier to scan (or enter if they have trouble scanning). Easy. The app is free, but it does come with a bit of an annoyance (or a *feature* if you prefer) that it will show you a marketing area for cards you have entered (fliers for Canadian Tire if you have a Canadian Tire rewards number entered, etc). It is a minor annoyance that is easily overlooked when you can keep all your rewards cards at your fingertips it one app. Or should I say, ALMOST ALL, here is the caveat…. some stores are stupid. They either aren’t with the times, or they want to push you in to their own app to scan a card. Shopper’s Drug Mart recently informed me they can only scan cards in their official app, so I had to install a Shopper’s app too. It’s a stupid policy. Other places really want you to carry a physical card and won’t let you scan regardless. So before you chuck all the rewards cards at home, give the store a try first. I find I still have to carry my Costco card and library card (I shouldn’t have to for the library card but it is easier than explaining it to library staff all the time) but I have my Canadian Tire card, Air Miles, Cineplex Odeon SceneIt card in there, among others. I will also keep trying the Shopper’s Drug Mart cart but have their stupid app installed just in case. (Boo Shopper’s, Boooo). Wouldn’t it be great if the band just never ended. We could stay out late, and we would never hear last call.